Will Kofi go to WrestleMania? This week's Smackdown Live will be brought to us from the Bankers Life Fieldhouse in Indianapolis. This week's Raw didn't live up to the expectations of the fans and was a disappointment and we hope that WWE does not make the same mistake by booking SmackDown Live poorly. Some major matches and appearances are set to take place on SmackDown. For instance, we will witness a gauntlet match which will decide whether Kofi Kingston will go to WrestleMania or not. Furthermore, the Boss N' Hug Connection announced on Raw that they will make a special appearance on SmackDown Live. We will also get to see the Hollywood A-Lister respond to Shane McMahon. 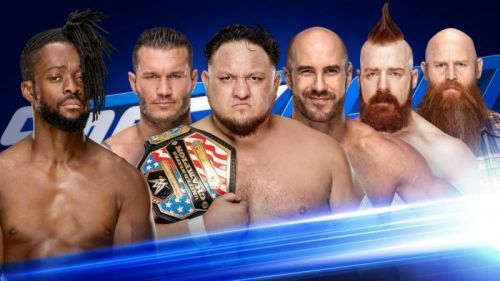 The current card of SmackDown looks promising but there might be some other major surprises which can take place on SmackDown this week. What might those surprises be? Let's find out in this article. WWE has been teasing a split up between Mandy Rose and Sonya Deville since Fastlane. 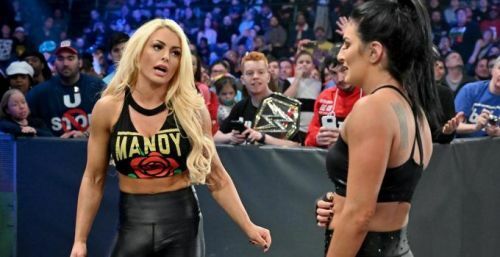 At Fastlane, we saw the initial cracks in the alliance of Mandy and Sonya when Sonya accidentally cost the SmackDown's Women Championship match to Rose by pulling the apron. Last week on SmackDown Mandy did the same mistake and cost Sonya the match. This leads many of us to believe that they will split up pretty soon and that could happen on SmackDown this week. I think that Sonya turning on Mandy will be a better decision as Mandy can then come up as a likeable babyface whereas Sonya can pull off the role of the heel. Also, there have been rumours of them facing Asuka in a triple threat match at WrestleMania. This makes perfect sense as both Mandy and Sonya didn't lose clean to Asuka. So,this is the perfect time to split Mandy and Sonya and book them as a singles superstar.